MARK BONGIOVANNI joined the firm in 1988 and is currently serving as its co-managing partner. He is admitted to practice in the State of New Jersey, the United States District Court for the District of New Jersey, the United States Court of Appeals for the Third Circuit, the State of New York, the United States District Courts for the Southern and Eastern Districts of New York, the State of Pennsylvania, and the State of Nebraska. He has tried in excess of 150 jury trials to verdict. His practice encompasses an extensive case load, including multi-party construction defect claims involving breach of contract, risk transfer, code violations, fraud, NJCFA, and insurance coverage issues. He also handles complex cases in the areas of products liability, wrongful death, trucking and transportation liability, environmental and toxic tort claims, professional malpractice, and wrongful termination. He has litigated a substantial number of cases venued in the New Jersey Superior Courts, the New Jersey District Court for the District of New Jersey, the New York State Courts, as well as before the American Arbitration Association (Construction Division), from inception through trial. In addition, Mr. Bongiovanni is experienced in handling appeals before the New Jersey Supreme Court and the Third Circuit Court of Appeals which have resulted in numerous favorable published decisions. 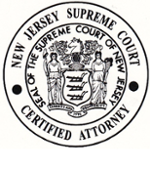 Mr. Bongiovanni has been designated by the Supreme Court of New Jersey, Board of Trial Certification, as a Certified Civil Trial Attorney. 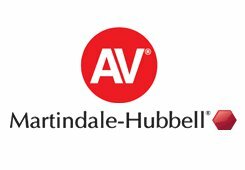 He is rated as a “Prominent” Attorney in Construction and Insurance Law by Martindale Hubble and is AV rated in both legal ability and ethical standards. He has received the highest possible rating reflecting the confidential opinions of members of the Bar and Judiciary and has been named in the Top Rated lawyers and New Jersey’s Legal Leaders as published in Wall Street Journal. He is also a member of the New Jersey State Bar Association, the Middlesex County and Mercer County Bar Associations, the New York State Bar Association, the New York City Bar Association, the American Bar Association, the Middlesex County Trial Lawyers Association, the Trial Attorneys of New Jersey, the New Jersey Defense Association, the Claims and Litigation Management Alliance, and is former Chair of District X Fee Arbitration Committee. Mr. Bongiovanni provides seminars to clients of the firm and attorneys regarding contractual defense and indemnification issues, as well as developments in insurance coverage law. He is a graduate of Montclair State College and Western Michigan University, Cooley Law School.